Julie is a native Atlantan. She joined C.M.G. in 2007 as a Registered Nurse after having worked Labor & Delivery at Northside Hospital. She always wanted to become a Nurse Practitioner, so in 2010 she went back to Emory and got her Masters of Science in Nursing with a focus in Family Practice. 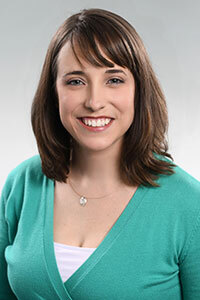 She has worked in various areas of medicine as a Family Nurse Practitioner, but always knew her love was for pediatrics at Children's Medical Group, so she rejoined the practice in September of 2016. Julie and her husband Greg live in Decatur, GA. They are the proud parents of one little girl and a set of twin boys. Julie is an avid rock climber. She and her husband have climbed all over the United States, in Squamish, B.C., and in Railay, Thailand. She also enjoys yoga, running, cooking, and various artistic endeavors.